In 1904 Pope Pius X set apart as a distinct portion of God’s people the parishes of Southeastern Massachusetts and gave them a bishop who would have his Cathedral in the City of Fall River. This of course was not the beginning of the Catholic Church in this area. Since 1872 the territory of the new Diocese of Fall River had been a part of the Diocese of Providence and previous to that part of the Diocese of Boston. Although Catholics may have come briefly in to the area during the days of colonial exploration, it was not until the early nineteenth century that Catholic history really began. The first documented evidence of Catholic life in what is now the Diocese of Fall River is the record of the transfer of a parcel of land at Allen and Dartmouth Streets in New Bedford on March 19, 1821 to John Cheverus, first Bishop of Boston. Here Father Philip Lariscy, an Irish Augustinian, was able to build a small frame Church with the aid of a band of Irish parishioners and Portuguese seamen. This church was one of only six Catholic Churches in New England and it has given to St. Lawrence Parish in New Bedford the singular distinction of tracing its origin to Bishop Cheverus who blessed the church on October 28, 1821. Soon other Catholic communities began to spring up. At Sandwich on Cape Cod, St. Peter’s Church was dedicated in 1830 to serve the Catholics who had come to work at the famous glass works, in Taunton, an enterprising group of Catholics settled after the opening of the Taunton Print Works. Due to their efforts the first St. Mary’s Church was dedicated in 1832. Fall River received its first Catholic family in 1822 with the arrival of Patrick and Helen Kennedy and their five children. In their home Father Robert Woodley, who traveled throughout the area, offered Mass for the first time in 1828 but it was not until 1837 that the small wooden church of St. John the Baptist was erected on the site of the present S. Mary’s Cathedral. In North Easton the Ames family gave land for a small chapel in 1850 and in 1859 St. Mary’s in North Attleboro was dedicated, the first church in that area. From these early centers priests tended to Catholics in neighboring and even distant towns such as Dartmouth, Somerset, Norton, Attleboro, Mansfield, Wareham, Harwich, Provincetown, Woods Hole, Martha’s Vineyard and Nantucket. There were however only nine parishes in this portion of Massachusetts when it became part of the newly created Diocese of Providence in 1872, but by 1904 when the Diocese of Fall River was established there were forty-four parishes serving 130,000 Catholics. The new diocese received an outstanding priest as its first bishop. The Most Reverend William Stang was born in Germany, taught at the University of Louvain in Belgium and had served with distinction in parishes, in the curia and on the mission band of the Diocese of Providence. Bishop Stang was recognized as a man of learning and holiness. During the episcopate, which was cut short by his untimely death in 1907, he established parishes, zealously implemented the directives of the pope on catechetical instruction and encouraged the founding of St. Anne’s Hospital. Bishop Stang was succeeded by the Most Reverend Daniel F. Feehan, a priest of the Springfield Diocese who was pastor of St. Bernard’s Parish in Fitchburg at the time of his nomination as bishop. During the twenty-seven years as ordinary, Bishop Feehan established thirty-six parishes and was especially devoted to children, giving much attention to the child care institutions of the diocese and he established an office for charitable and social services. When Bishop Feehan died in 1934, he was succeeded by the Most Reverend James E. Cassidy, his Coadjutor Bishop and Vicar General for many years and since 1930 Auxiliary and Apostolic Administrator of the diocese. Bishop Cassidy is remembered as a stern supporter of temperance and a staunch advocate of the rights of workingmen. He was concerned for the needs of the elderly and founded homes for the aged, which became model institutions of their kind. 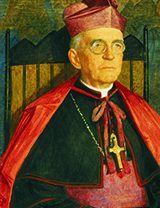 In 1945 Bishop Cassidy received the assistance of a Coadjutor Bishop, the Most Reverend James L. Connolly, a Fall River priest who had served for many years as a professor and then rector of the Seminary in the Archdiocese of St. Paul. Bishop Cassidy died suddenly on May 17, 1951 and was succeeded by his coadjutor. Bishop Connolly encouraged vocations to the diocesan priesthood and was devoted to the sick, especially the incurably ill and to exceptional children. He founded four regional high schools and the diocesan newspaper, The Anchor. In 1959 the Most Reverend James J. Gerrard was appointed Auxiliary Bishop. Bishop Connolly attended all four sessions of the Second Vatican Council. 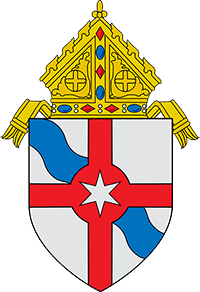 In 1966 the diocesan chancellor, Monsignor Humberto S. Medeiros, was ordained Bishop of Brownsville, Texas. Bishop Medeiros became Archbishop of Boston in 1970 and three years later he was named a Cardinal. When he died in 1983 he was buried at his request beside his parents in St. Patrick’s Cemetery in Fall River. The Most Reverend Daniel A. Cronin became the fifth Bishop of Fall River in December 1970 upon the retirement of Bishop Connolly. Bishop Cronin had previously served the Holy See in Ethiopia and at the Vatican Secretariat of State before returning to Boston as Auxiliary Bishop in 1968. Bishop Cronin faithfully and carefully carried on the work of implementing the decrees of the Second Vatican Council. He supported liturgical renewal, continuing education of the clergy and the restoration of the permanent diaconate. In addition he devoted himself to the pastoral care of the sick in hospitals, to the expansion of Catholic Counseling and Social Services, to the Family Life Ministry and Pro-life activities. Late in 1991 Pope John Paul II appointed Bishop Cronin Archbishop of Hartford. On August 11, 1992 the Most Reverend Sean P. O’Malley, OFM Cap., Bishop of St. Thomas in the Virgin Islands was installed sixth Bishop of Fall River. The new bishop had to deal immediately with a serious case of clerical sexual abuse. This he did forthrightly showing great compassion and pastoral sensitivity. Bishop O’Malley, a zealous advocate of Catholic education, opened three new schools and strengthened the St. Mary’s Education Fund for students in need of financial assistance to attend diocesan schools. He also established an office for AIDS Ministry and dedicated himself to the needs of immigrant communities, expanded social services, including the establishment of two residences for women, fostered vocations to the priesthood and reorganized the diocesan curia or administration. Recognizing changing demographics and a decreasing number of priests as well as declining Mass attendance, Bishop O’Malley established the Office of Pastoral Planning to assist the bishop in making decisions concerning the merging of parishes and the allocating of priest personnel. In the fall of 2002 Bishop O’Malley was named Bishop of Palm Beach. On October 22, 2002 the College of Consultors elected Monsignor George W. Coleman, Vicar General and Moderator of the Curia under Bishop O’Malley, Diocesan Administrator. Monsignor Coleman worked closely with the consultors in the governance of the vacant diocese. Retired Bishop Joseph F. Maguire of Springfield was invited to celebrate the Chrism Mass and bless the Holy Oils in Holy Week of 2003 and shortly after Easter on April 30, 2003 Monsignor Coleman was named Seventh Bishop of Fall River. 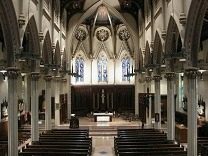 His ordination took place at St. Mary’s Cathedral on July 22, 2003. The ordaining prelate was Archbishop Gabriel Montalvo, Apostolic Nuncio to the United States. Archbishop Daniel F. Cronin and Archbishop-designate of Boston Sean O’Malley assisted Archbishop Montalvo. Bishop Coleman was ordained a priest of the Diocese of Fall River in Rome in 1964. He had several pastoral assignments and served as Diocesan Director of Education. He was pastor of Corpus Christi Parish in East Sandwich when appointed Vicar General and Moderator of the Curia in 1994. After some study Bishop Coleman made some structural changes in the Department of Education appointing a director of Faith Formation to oversee catechetics, youth ministry, RCIA, and more recently Marriage and Family Ministry. The Bishop has also worked closely with the Office of Pastoral Planning in the difficult work of configuring parishes and dealing with unused church property. In September 2007 Bishop Coleman was able to dedicate Pope John Paul II High School in Hyannis fulfilling the long-held dream of many for a Catholic High School on Cape Cod. On July 3, 2014 it was announced that Pope Francis had accepted the resignation of Bishop Coleman who turned seventy-five on February 1. Bishop Edgar Moreira da Cunha, SDV, a native of Brazil and Auxiliary Bishop in Newark, New Jersey was appointed eighth Bishop of Fall River. He was installed in St. Mary’s Cathedral on September 24, 2014 by Cardinal Sean O’Malley, Archbishop of Boston and Archbishop Carlo Maria Vigano, Apostolic Nuncio to the United States. At the November 2014 meeting of the US Conference of Catholic Bishops in Baltimore Bishop da Cunha was elected to membership on the board of the Catholic Legal Immigration Network Inc.